"Everybody just arrives in our townships and rural areas and set up business without licences and permits. We are going to bring this to an end! And those who are operating illegally must now know," warned SA President Cyril Ramaphosa. Within hours of him saying this there was widespread xenophobia violence on black foreigners in SA. In Cape Town a family of 9 Zimbabweans were burnt alive in one such attack. 7 dead and two children were admitted to hospital with life-threatening burns. At the heart of Zimbabwe's economic meltdown and political paralysis is decades of corrupt and tyrannical Zanu PF rule. Millions of Zimbabweans are in South Africa as economic or political refugees or both. The solution to Zimbabwe's economic and political mess is for the country to hold free, fair and credible elections. President Emmerson Mnangagwa promised to hold free, fair and credible elections in 2018 but failed to keep his promised. Most election observers include the EU, the Commonwealth and many others condemned the elections. "The final results as announced by the Electoral Commission contained numerous errors and lacked adequate traceability, transparency and verifiability. Finally, the restrictions on political freedoms, the excessive use of force by security forces and abuses of human rights in the post-election period undermined the corresponding positive aspects during the pre-election campaign. As such, many aspects of the 2018 elections in Zimbabwe failed to meet international standards," said the EU Election Observer Mission final report. SADC and AU observers confined themselves to praising how "peaceful the elections had been compared to past elections". They did not dare to say anything about anything else. Of all the SADC leaders President Ramaphosa is the only one who said the elections were fine! Zimbabwe's economic meltdown is worse now than it was before the elections. By rigging the elections Mnangagwa confirmed Zimbabwe was still the same pariah state ruled by corrupt and vote rigging thugs. Why President Ramaphosa gave his stamp of approval of Zimbabwe's rigged elections beggars belief. By approving Zimbabwe's rigged elections President Ramaphosa has only helped postpone Zimbabwe's economic recovery and thus generate more economic and political refugees, the same refugees he will be pleased to hear are being burnt alive! 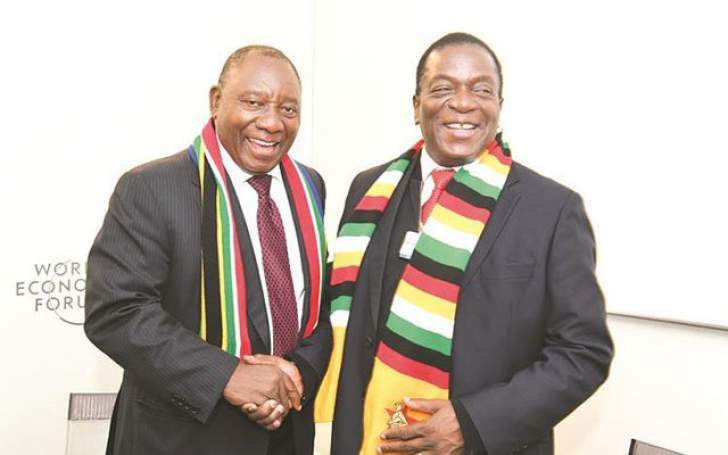 At a time when Zimbabwe desperately needed SADC to help it got out of the hell-on-earth Mugabe and Mnangagwa landed the nation into the last time we wanted is a mediocre leader like Ramaphosa in SA. I pity my South African brothers and sisters, Cyril Ramaphosa will not a blessing but a curse to your beautiful nation!